finally! it’s been a long winter for me but i took the “opportunity” to finish this sculpture – just in time for pentecost. 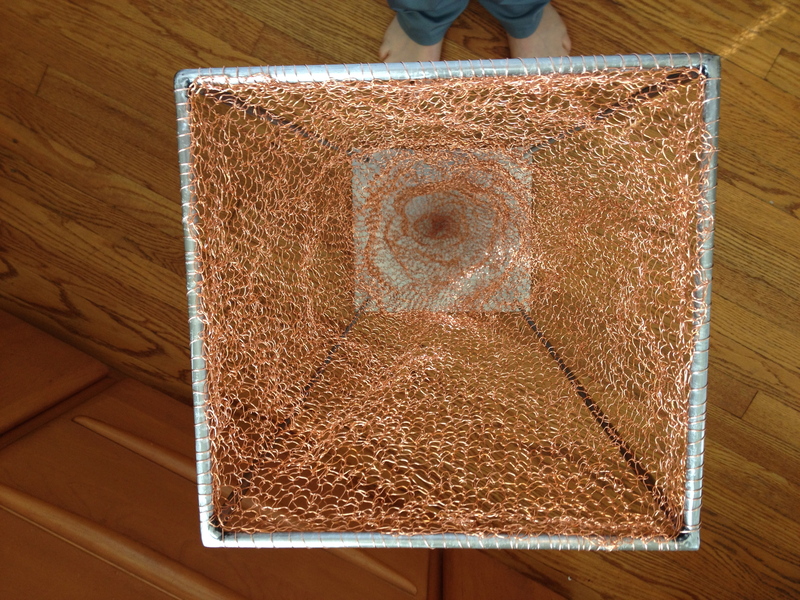 This is made of copper wire and steel and is about 11.5″ square by 3′ tall. 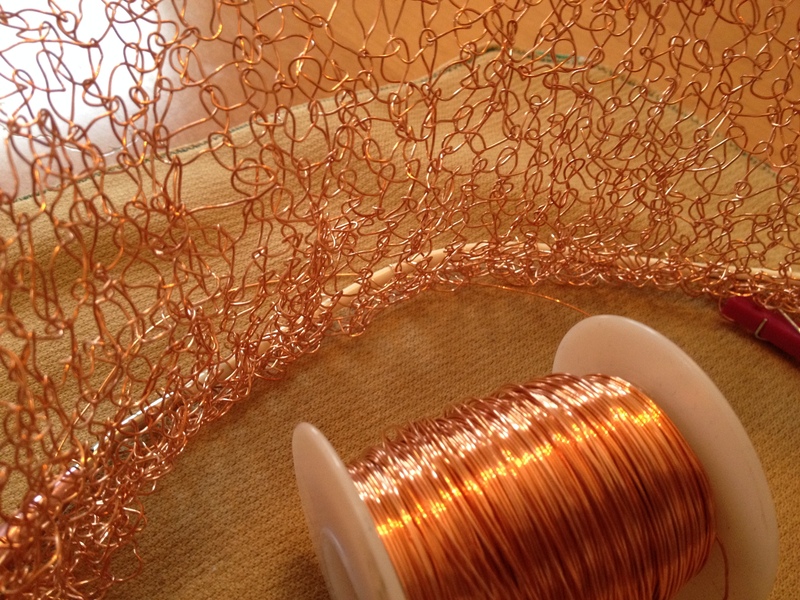 I’m really happy about this piece…i had the idea in mind for a long time but couldn’t decide how to start the copper knitting. once i got started, it came together just as i’d imagined. hope you like it. come visit to see it (and others) in person! 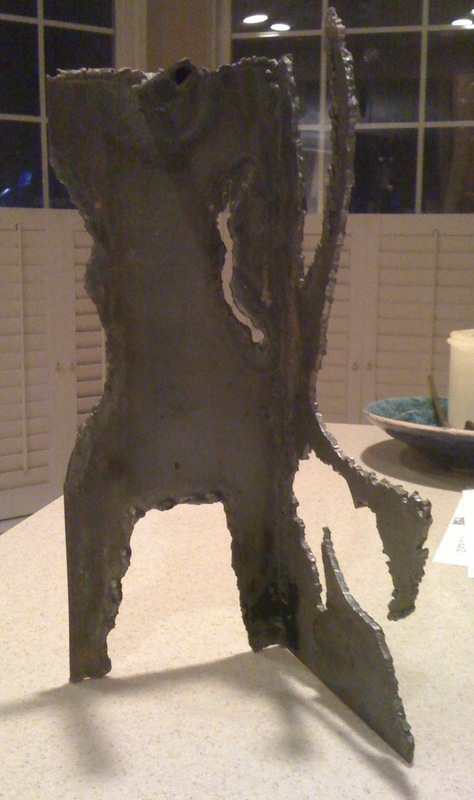 Steel, 12” x 4” x 4 ½”. Kathleen C Cooper, 2010. This was a scrap-work piece when I was first learning to use oxyacetylene gear but I took a liking to it and didn’t toss it back in the pile.